The Dri Duck Men’s Short-Sleeve Catch Fishing Shirt is available in Sizes: S-4XL and comes in the following colors: Fog, Grass and Sky. Heat resistant buttons will protect you from any kind of heat. SKU: AB-DD4406 Categories: Activewear, Woven Shirts, Woven Shirts, Men's Clothing Tags: men's clothing, woven shirts Brands: Dri Duck. 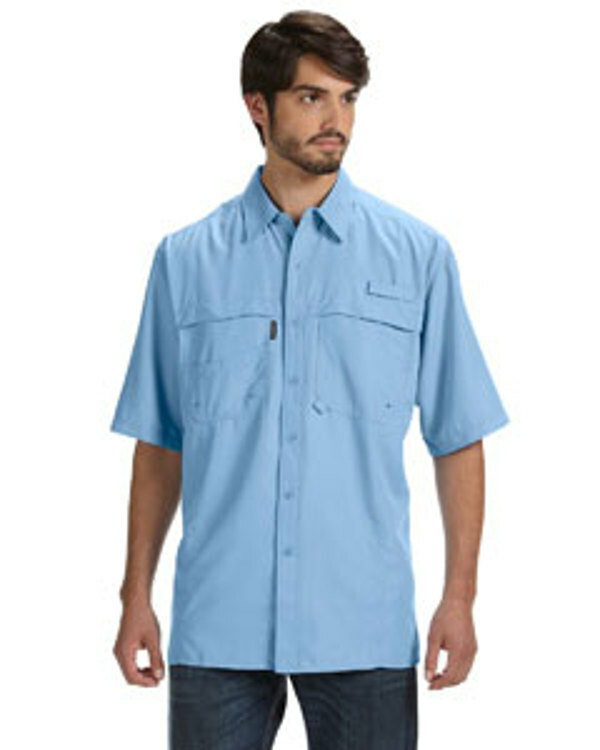 This full ripstop polyester Men’s Short-Sleeve Catch Fishing Shirt has UPF 40+ sun protection performance and Teflon® Shield plus fabric protector repels water and oil based stains.